My life has been so hectic lately between my art commitments, and trying to get ready to move to Florida. Yesterday I helped hang 50 paintings, including 10 of my own, for a group show, tomorrow I have to be there for the take-down of our PSNJ Member Show, then Saturday it's receiving and hanging for another PSNJ show. Not to mention I'm still trying to get a judge lined up for our juried show in November. Sheesh, hardly time for my own art. 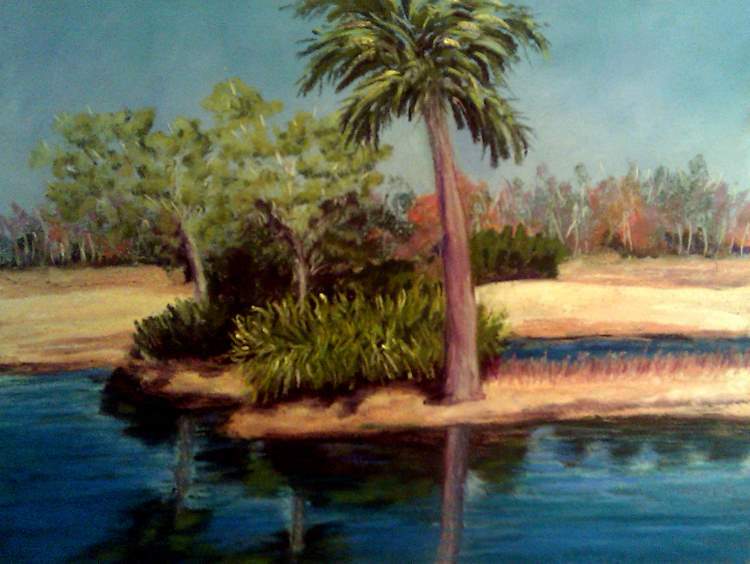 But I got thinking about how I'll be moving to Florida in the near future, and yet I have not done one single Florida painting. I've plenty of New Jersey, some of North Carolina, some of Maine, a whole show's worth of the Canadian maritimes. But nothing from my upcoming new home, so I decided to remedy that last night. So I did this painting, which is from a reference photo I took last year at Christmas time when I was visiting my son and his family. This was taken just about the apartment complex were my son and his family are living in Jacksonville Beach. On my usual 9x12 Art Spectrum.